How the social sciences can help unlock the barriers to adopting new technologies. By Sapna Mulki. The human capacity for innovation that ensures evolution and survival is especially vital for the effective management of water resources. So, if the industry needs to operate efficient water systems, why is it so slow to adopt new technology? It’s easy to blame the slow adoption of water innovations on outside factors. It’s hard to navigate institutional processes that are heavily regulated by governments. It’s difficult to secure specialised space and capital for research. Bidding processes are strict. Health and environmental testing procedures are long and thorough. Yet a bigger force is that public decision-makers – utility directors, board members, city councils, regulatory officials – too often approach digital water innovations with caution, suspicion, even hostility. The Diffusion of Innovation (DOI) social science model attempts to explain where this perception comes from and how to better communicate and advocate for a new mindset. The DOI model — developed in 1962 by E.M. Rogers and popularised in 2000 by Malcolm Gladwell’s book, The Tipping Point — describes how new ideas spread through a population or social system across a bell curve, which reveals their disposition to innovation adoption (see graphic). The small percentage that are quick to adopt a water or other technology are Innovators, curious and eager to learn and experiment with new ideas, even at the risk of failure or disappointment. Next, come the visionary Early Adopters, who actively seek ways to improve their lives, learn from innovators about ideas and technologies that are worth adopting, and share their opinions in reviews or recommendations. Like a vocal city council member calling for change in business-as-usual practices, many tend to have a decent following. Pivotal momentum for digital water must build here. The key to “crossing the chasm” is to enlist support for a desired outcome, showing it to be the best outcome for the vital majority. Water professionals must explore how best to persuade decision makers to support and promote innovative technologies, like digital water. The large Early Majority are pragmatists who assess ideas and technology based on feedback from innovators and early adopters before they choose to commit. Individuals who follow make up an equally significant but more conservative Late Majority, who wait until ideas or technologies become pervasive enough so that not adopting them creates its own risks and costs. Notably this profile segment closely fits the mindset of water utilities and regulatory officials. At the tail end of adoption are small segments unlikely to embrace a new idea until it’s too late, if ever. Apathetic Laggards are agnostic about any benefits from innovation; cynical Sceptics are so actively suspicious that they may resist technological adoption even by others. Ignore these groups, unless individuals lead a strong opposition campaign, in which case you should focus on inoculation techniques. To be effective each social segment requires its own message, and even medium; one cannot communicate to all water audiences in the same way. Rather, we need to develop guidance tools to build strong campaigns that are relatable and garner support for adoption of a new technology. To bridge the chasm, it helps to identify and gain support from influential Innovators and Early Adopters, but most outreach strategies focus on convincing the Early and Late Majorities. Decision-makers here tend to assess digital water from a binary perspective: does it pose a threat or opportunity to their own stability, political aspirations or status quo? This is a completely natural evolutionary reaction. A well-thought-out education strategy can move even those who typically hesitate when deciding on adopting novel technologies. Bear in mind that persuading water professionals to adopt new ideas is not an “industrial” versus “developing world” issue. To the contrary, under-capitalised emerging water institutions may be better placed to leap-frog the old incumbent approach, with nimble, decentralised digital water innovations that do more with less. Still, it is clear that we cannot progress at the rate we need to unless — as advocates of water innovation – we start communicating in ways that motivate our leaders to change their attitude and behaviour when they see a product as new or innovative. There are several techniques with which we can cross the chasm and advance widespread adoption. One is to make and share information about the technology readily available through a simple website. Another is to foster a participatory approach to adoption, conducting small and informational meetings with decision-makers on the value of the technology. We can also provide feedback on the soundness of the science, or simplicity of its usage through phases of tests, pilots, demos, and case studies. Always emphasize how the innovation upholds the values and needs of the decision- makers, as customers or clients. Finally, demonstrate how innovation improves on the old product, service, program, or system it replaces, and how others have already benefitted from it. Demonstrate AMI as a tool to empower customers through information. The same principles apply across digital water innovations, from customer apps, digital displays, and decentralised sensors, to solar pumps, smart pipes and end-user platforms. The most unsustainable force of the water sector is that all too often, a large segment of the industry will continue to be agnostic toward, sceptical about, or hostile to change. The more water professionals resist viable technologies, the more we risk ensuring the long-term success, security and progress of our local economies. Innovation in water is inevitable and irreversible. Rather than be left behind, the question is how fast will your mind, your career and your organisation find ways to adopt and thrive from it? 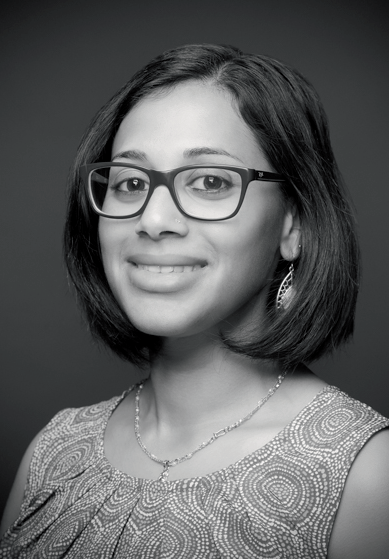 Sapna Mulki, a principal at Water Savvy Solutions [sapna@watersavvysolutions.com], has a wide range of expertise in water finance, policy, environmental education, and outreach campaigns on rate adjustment, AMI and water conservation.